THERE seemed to be very unwelcome pattern emerging as I made my way to Popham for the third Hampshire League fixture of the season, and the final one of 2018… rain. Lessons had been learned in Aldershot last month, and we were not taking any chances this time. Rumour had it that Mark Apsey had packed his entire wardrobe, Gemma Buley was prepared for every eventuality, and I was not the only one to have also included spare underwear in my kit bag. Too much information, I realise. Fortunately, by the time of the women’s race, the rain had ceased and we were just left with a headwind to contend with. The windsock at Popham Airfield is certainly always flying very well. 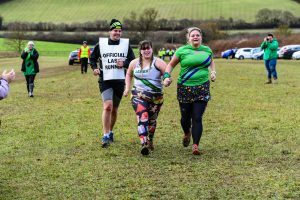 For those who haven’t yet braved this course, it is essentially made up of zigzags through two fields, with a short steep up and immediately back down, and a short uphill stretch through some woods. Oh, and the bits through the fields are long, gradual hills, in both directions. Two full laps for the women, and 3.5 for the men. Lucky them! 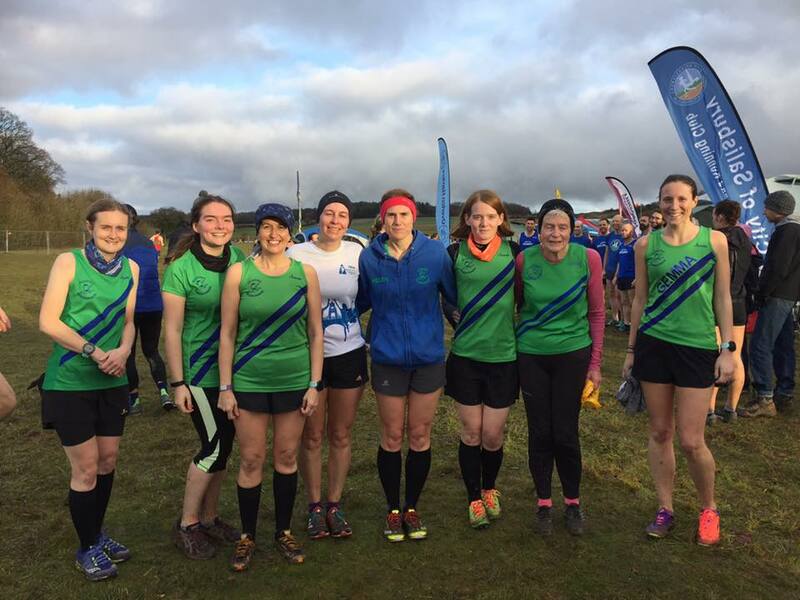 A few of our usual best performers were missing, due to injury and other events, but a team of eight women was a turn-out to be proud of, and although we knew we would not score as well as usual, we were all ready to give it our best. For me, this always means trying to catch the person in front, especially if they are over 35. The race was won by Melanie Wilkins of Winchester. First Roadrunner home was Gemma Buley, trialling some new spikes, in 17th (out of 165) followed by the first of our vets, Helen Pool (41st, and 11th vet, but, to her annoyance, just behind her Reading AC rival, Sue Francis), and then Nicole Rickett (80th, and 37th vet).This gave the senior women’s team 12th place. Under 20 Katie Rennie was next (19th U20), but we needed a third vet scorer, and this was to be me (51st vet). The vet women’s team finished ninth. Next to finish were Claire Seymour and Hampshire League debutante Alex Bennell, who, having watched her son race at these fixtures many times, wanted to try it for herself. Cecilia Csemiczky completed the team, following a battle with a friendly rival from Victory. Every one of us felt we had run well, and were initially disappointed with the Strava ‘trending slower’ comparisons to times from previous years. 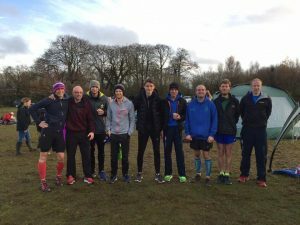 The consensus in the end was that this year’s course was indeed slightly longer – phew. In the men’s race we were truly spoiled with a team of 15. 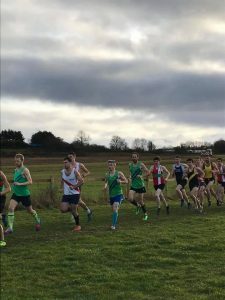 We are so used to see Rob Corney winning races that it was no surprise to see him well in the mix at the head of the field, placing between third and fifth throughout the race. It was eventually run by Aldershot’s Ellis Cross, with Rob an excellent fifth (out of 268), followed by Mark Apsey, in 14th. Next came the first of the supervets, Ben Paviour (18th and second vet), and Mark Worringham (22nd and third vet), the latter apparently not running well at the moment. I beg to differ. Jack Gregory (34th) completed the scoring team. The senior men’s team were third, which was a fantastic result. A third vet runner was needed to complete the vet men’s team, and it was Lance Nortcliff who did the honours, in 43rd (eighth vet). This meant the vet men’s team finished a fabulous first, and are top of the leaderboard, on aggregate. David McCoy, the younger, was next in, followed by another couple of vets, Andrew Smith and Pete Jewell. Matt Davies was right behind, and I was pleased to see he had come back for more, after the Aldershot experience. Next were Mark Dibben, a Hampshire League newbie, and Chris Buley, with David Walkley, Alan Williamson and Nick Adley completing the team. 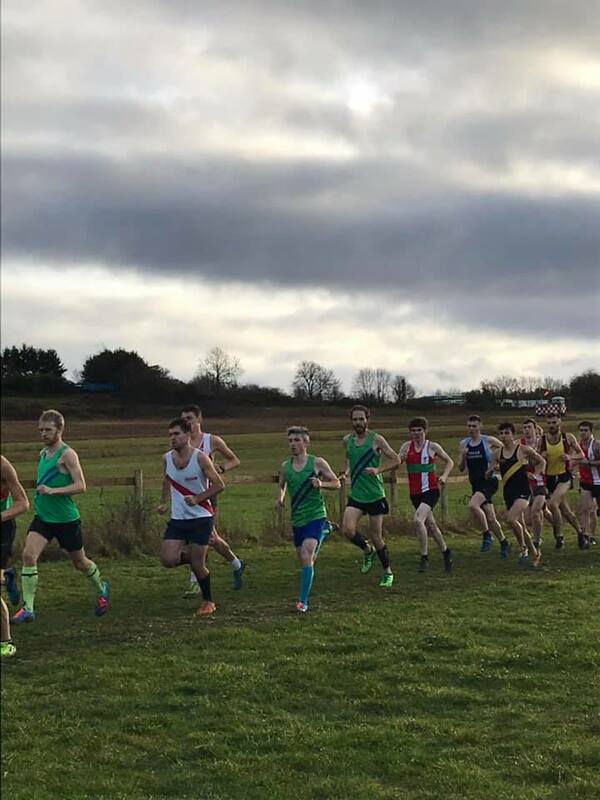 With two matches to go, current standings in the league are: senior women joint ninth, vet women seventh, senior men sixth and vet men first. Thank you and well done to everyone who has participated in the league so far. The next race will be in Prospect Park, Reading on Saturday, January 12th. Why not give it a go? 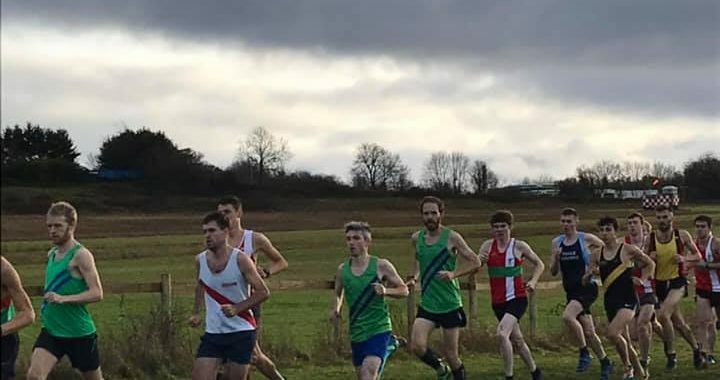 With such a cracking turn-out in the Hampshire League, we were in serious doubt as to how the club would fare in the TVXC fixture at Handy Cross the following day. Rewind to the previous weekend, when Reading Roadrunners had triumphed in the TVXC race at Sandhurst. 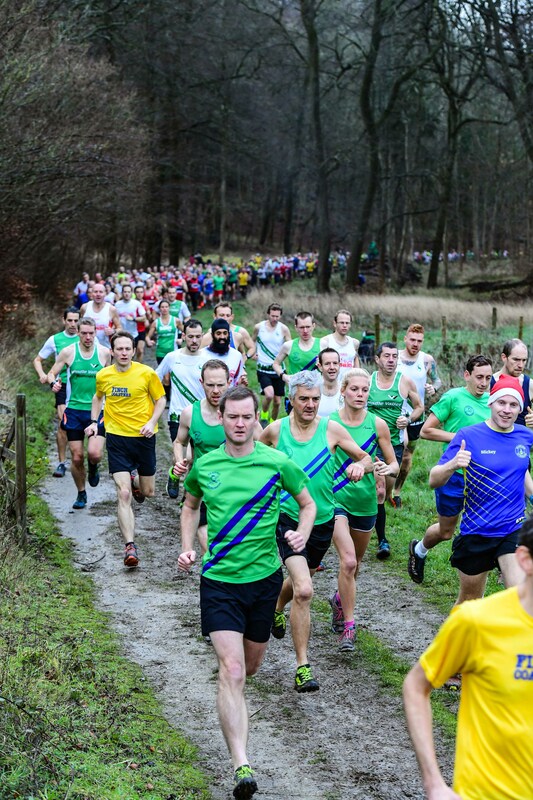 The mixture of mud, grass, hills and woodland here is a perfect mix of cross-country terrains. It was also, apparently, suitable for spikes, now that there was a detour around the tarmac path from last year. Rob Corney, David McCoy, Stephen Ridley, Brendan Morris, and vets, Fergal Donnelly and Andy Blenkinsop, brought the men’s team home in second place, while Chantal Percival, Gemma Buley, Sarah McDade and Mary Janssen (vet) took first place for the women, with Chantal first female overall for the second time this season. 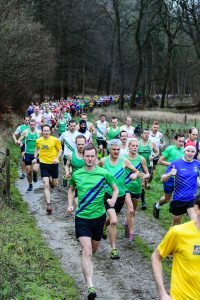 The huge turn-out of 73 Roadrunners kept the other teams at bay, and the club finished joint first… an excellent result. Back to Handy Cross…. this course is a different beast altogether. The mud is muddier, the woodland more twisty, and the hills, yep, more hilly. Running this race a day after Popham, I realised, was tough. Especially after two months out with a glute injury. Glute strength was very much required for Handy Cross. 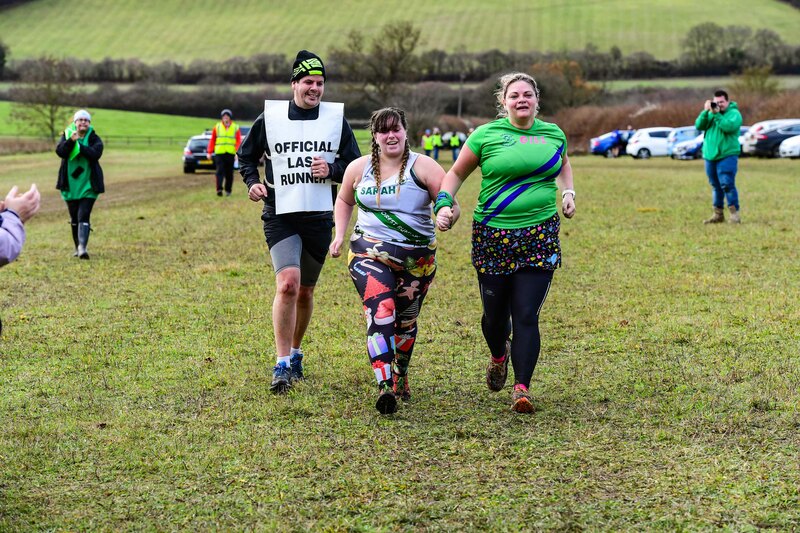 I was not the only one to be doing the XC double; Nicole Rickett, Gemma and Chris Buley, David McCoy and Matt Davies were also as foolish as I was, while some others who had raced at Popham were taking on (and conquering) the multi-terrain Mapledurham 10k and 10-mile races. In contrast to Sandhurst, it was a smaller contingent of 43 Roadrunners and guests who braved Handy Cross. David McCoy, Fergal Donnelly (vet), Calum Baugh, Chris Burt, Paddy Hayes and Richard Usher (vet) made up the scoring men’s team and they finished fourth, after Fergal was forced to, almost literally, crawl around on the floor of the food tent in search of his dropped position token. Chantal Percival was first female yet again – amazing! – with Gemma Buley, and vets Mary Janssen and Nicole Rickett completing the scorers. The women’s team was third, which meant that the overall team placing was second. Well done to everyone who ran – it is much appreciated. My husband didn’t run, as he was in the USA, but I’m pleased to say his vest got a good run out; I hate to see a new club member without kit! With two fixtures to go, Reading Roadrunners are in second place overall. The next race will be a mudfest hosted by Tadley Runners, on Sunday, 20th January. Let’s all go! Pictures: Matt Fowler Photography, Nicole Rickett, Gemma Buley, Sam Whalley. Posted in Dibben Report, Race Reports, Roadrunners18. Another excellent report from our super ladies’ captain.